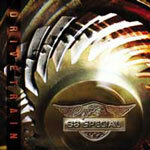 38 Special "Drivetrain" first single. Check out a real audio stream of the first single from the 38 Special's new record: Hurts Like Love on www.38special.com. The Bacon Brothers Double-Live album & dvd release! 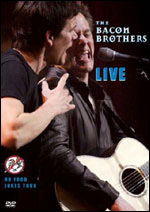 The release of The Bacon Brothers Live, a double-disc CD and DVD was recorded at Englewood, New Jersey’s John Harms Center for the Arts on February 18, 2003. It's fourth's Bacon Brothers’ cd, after the studio albums Forosoco (1998), Getting There (2000) and Can’t Complain (2002). It captures the incomparable live chemistry of Kevin and Michael Bacon during one hot night. The 20-track set list spans the Bacon Brothers.’ three records and includes their songs “Woman’s Got A Mind to Change” and Kevin’s hilarious “Guess Again (The KJ’s Song)” (from Forosoco), “Ten Years In Mexico” and Michael’s touching song about letting go of his son “Don’t Lose Me Boy” (both from Getting There) as well as “I’m So Glad I’m Not Married,” “Grace” and “Summer of Love (Woodstock ’99)” from Can’t Complain. "Asia will offer their fans a choice when their new album Silent Nation comes out August 31. It will be available in both a standard, music-only version, and as a special edition that comes with a DVD called 'The Making Of Silent Nation.' The DVD will have new interviews with the band members and footage of them working on 'Silent Nation.'" Via Blue Desert website. David "Creatchy" Garfield will perform this year at the Copenhagen Jazzfestival were he is bringing the 2004 Incarnation of Karizma to Denmark. 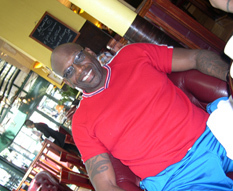 On stage he will perform songs from the career of Karizma and Los Lobotomys, music with roots from Los Angeles. In Copenhagen, Karizma will perform at the venue place Pumpehuset on Saturday 10th July 04 at 9pm. American Idol Diana DeGarmo (17 y.o.) has cut last week-end a new version Melissa Manchester 1979 number 10 hit "Don't Cry Out Loud" with the help of Melissa Manchester herself. DeGarmo's double-A sided single, "Don't Cry Out Loud," will be released June 29 by RCA as double A-sided single with "Dreams". Arnold McCuller and Bill Cantos are both in the "Farewell Tour" Phil Collins backing band. They will give a live interview tonight on RTL French radiostation between midnight and 3 AM (french time) in the famous Classic Rock radioprogram : "Les Nocturnes" hosted by Georges Lang legendary radio deejay. You can listen to the radioshow via a live Webcast by connecting you to RTL and click at the top-right handside to listen to the stream. Stay tuned and thanks to Georges Lang for this opportunity! "So Weird! It feel so strange to sit and watch a show that I know so well. I sat and took notes to help the singers know what its like for them in the house. It felt so odd! This experience is bringing on lots of humility and feelings I've not felt in quite some time but I know once again that it is for a higher purpose." 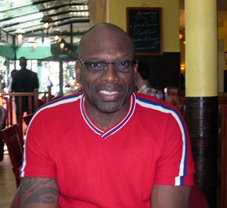 So I have had the chance to share a breakfast in Paris with Arnold this morning. He is going very well, happy to be there and also... He will start again to sing in Phil Collins band tonight in Paris for the last parisian concert. Don't miss him on stage during Phil Collins worldwide tour! We have a surprise for Arnold's fans tonight (if all works well ;-). Stay tuned! 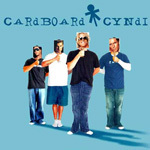 "Cardboard Cyndi" is Lauren Scheff's new CD. His brother Jason sings background vocals on two songs: "Think of Me" & "All we Never Had"
The album is produced by Michael Hutchinson & Lauren Scheff and features musicians: Lauren Scheff, Blair Sinta, Dave Levita, Micahel Hutchinson, John Keane, Dawayne Bailey, Darin Scheff, Jason Scheff & Christian Tolle. 38 Special returns with a new album! With multi platinum records, 15 million in sales and a string of top 40 hits to their credit, 38 Special returns with their first studio album in 7 years, "Drivetrain" loaded with plenty of grit, guitar horsepower and the true attitude of a southern band showing their roots. A July 27th release date is scheduled. The classic 38 special lineup continues with: Don Barnes (lead vocals and guitar), Donnie Van Zant (vocals), Larry (LJ) Junstrom (bass ), Danny Chauncey (guitars, keyboards), Bobby Capps (keyboards) and Gary Moffatt (drums). After you type in the username and password, you'll hear a streaming version of the song along with new photos of the band.